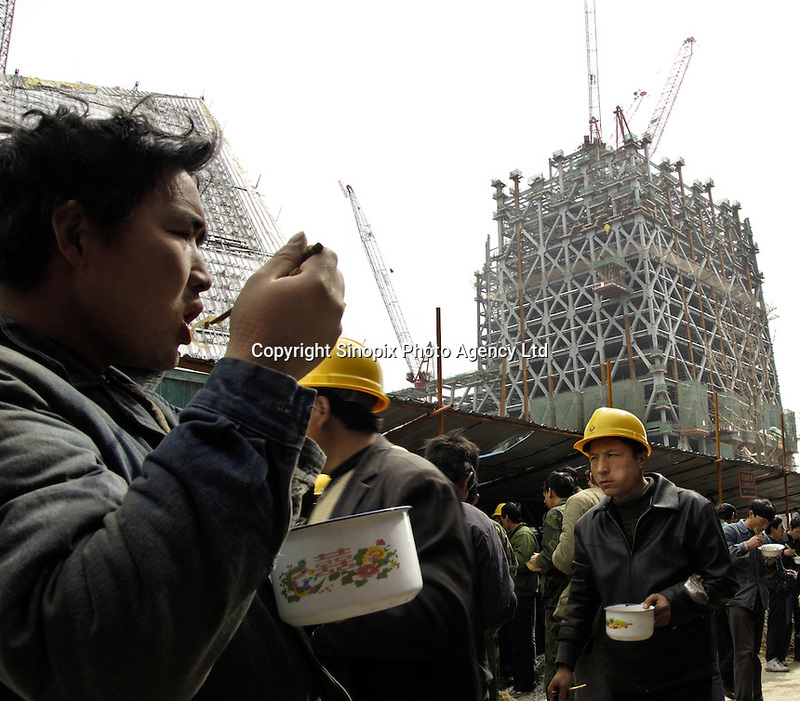 Chinese workers have lunch at the construction site of the new headquarters for China Central Television (CCTV) in Beijing, China. China's CCTV and other important organisations and businesses are gobbling up space in the CBD. The area is to become a new kind of hub for business Beijing following completion..